The Marshall Project's Bill Keller (former editor of the New York Times) had a golden opportunity -- and he blew it. Today's panel on criminal justice reform, filmed at the White House and live-streamed on The Marshall Project's website, had the potential to inform the public of the real and hidden problems that plague our state and federal justice systems. But the wrong people were invited to join Keller and the President, and the conversation suffered for it. It is sometimes said by us criminal defense lawyers -- with a dose of cynicism -- that in the halls of justice, justice is often done in the halls. What we mean by this tongue-in-cheek phrase is that the informal processes among prosecutors, lawyers, defendants and witnesses has more to do with whether true justice is rendered than any of the phenomena discussed by Keller and the panel. By inviting only higher-ups to engage the President, Keller limited the panel to discussions of macro policy and left out how those policies play out on the ground -- particularly the ways that prosecutors routinely misuse their power. Indeed, it is true that our state and federal justice systems over-incarcerate by a huge margin, and it is one of America's greatest shames that we have the largest prison population in the world. 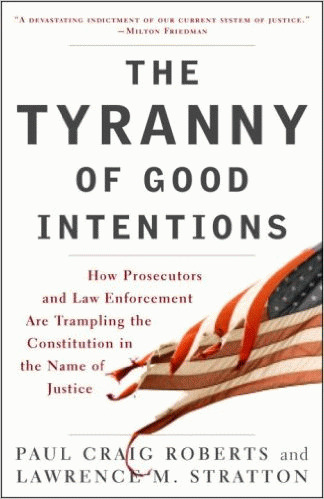 But all of the reforms discussed by President Obama, Colorado United States Attorney John Walsh, and Los Angeles Police Chief Charlie Beck belie a central scandal: a vast number of defendants are prosecuted for either (1) engaging in conduct that should not be criminalized at all, or for (2) acts that they did not commit but which a rewarded witness fingered them for. Nor did the discussion take into account (3) the thousands of people serving sentences for violations of criminal statutes so vague that no person of ordinary or even elevated intelligence -- including many lawyers and judges -- would instinctively consider crimes. These structural defects of the criminal justice system will continue to result in over-incarceration of our innocent fellow citizens, even if all of the reforms discussed at Keller's White House extravaganza come to pass. The reforms mentioned at the panel -- the reduction of long sentences, the targeting of only the "worst-of-the-worst," an increase in federal community policing grants -- will only put a dent in the problem. The panel only briefly touched upon the toxic plea bargaining culture that has developed throughout the country. U. S. Attorney Walsh proposed that mandatory-minimum sentences be reserved only for the most violent offenders. But he failed to mention a practice that goes hand-in-hand with these sentences: government cooperation in exchange for lower sentences. Endowed with the immense power of imposing long prison sentences, a prosecutor can single-handedly get a defendant to say almost anything about almost anybody. Such witnesses, as the saying goes, will "not only sing, but compose." Many an innocent defendant has gone to prison for decades based on such bought testimony of dubious accuracy. Once during the discussion U.S. Attorney Walsh complimented the President on his vast command of the issues in this sprawling area of law and life. Chief Beck reiterated the compliment. But in reality, none of the panelists, nor the host of the panel for that matter, really appeared to understand the deeper ills of our state and federal criminal justice systems. Perhaps this was due to the panel's utter and obvious lack of a member of Washington D.C.'s Public Defenders office, or an ACLU attorney, or Washington Post columnist Radley Balko, who covers these issues in detail week after week. Without these sorts of panelists, this "conversation" on criminal justice was rendered completely asymmetrical and incomplete from the outset. We not only incarcerate too many defendants for too-long periods, but we convict and incarcerate a vast and largely unknown number of individuals who are in fact innocent of crime properly understood. The system is broken, yes, but in many more ways than we heard about today. Harvey Silverglate, an occasional WGBH/News contributor, thanks his research assistants, Samantha Miller and Timothy Moore, for their assistance in the preparation of this piece.